Yesterday I didn’t feel like being cooped up in the house so I had the brilliant idea to drive to Baltimore, park the car, and walk around. This way we could get some exercise, catch some Pokemon, and explore all at the same time. 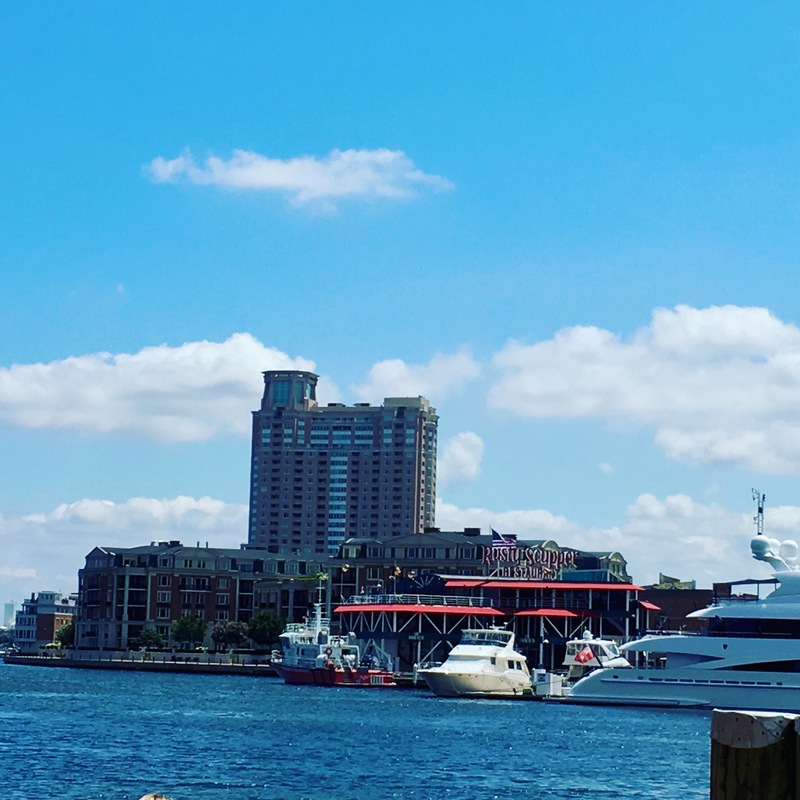 This time I chose the area surrounding the National Aquarium. We sat at the harbor for a while because of course Andre had to take down the Mystic gym. He didn’t succeed 👍🏾. 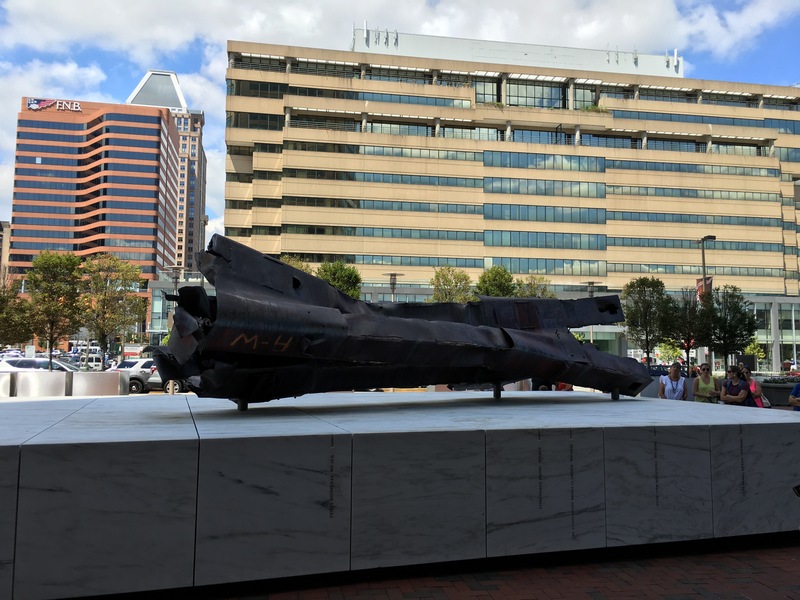 Then we walked around and I discovered that right next to the aquarium is a 911 memorial for the Maryland victims of 911. Then after that we walked for a bit. The breeze off of the harbor was really nice, but the sun was really intense for it only being about 80 degrees. I finally saw a Pokemon that I didn’t have. And as you can tell, he escaped custody. Next time Magmar… next time. I’m currently stalled at 92/148. I have been going to bed at a decent time lately rather than being out hunting at night when all the good Pokemon are out and on the prowl. 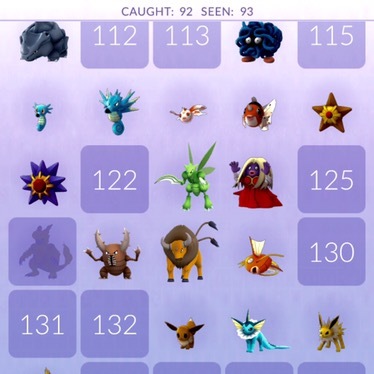 On a brighter note, I am almost 3/4 the way to evolving my Magikarp. I swear, I love the inner harbor, but lately I’ve only been going because Magikarp are like Pidgeys there. Every few minutes a Magikarp pops up lol. I think I got 18 whilst I was there yesterday. Not bad for about an hours work lol. There were two old men sitting next to us on a bench in the shade. I wish I’d thought to grab a photo. They yelled out to every woman that walked past them. It really cracked me up. Just thought I’d share 🙂. About 3:15 we decided to walk back to the parking garage, since my reservation expired at 4pm. We decided to grab the best shakes EVER from the shake shack on the corner first. I wish I were a poet, I’d totally dedicate a poem to the most perfect strawberry shake in life. Then we headed back to the parking garage, which was literally around the corner. It was a good day… at least for me. Yes Magmar ran away, but Andre lost almost all his Great Balls on a Dratini that decided he’d be better off with a different trainer. He was not amused. But the milkshake made him feel better about things and he caught a different Dratini as we drove out of the city. So! How was your day?